For my birthday last winter Sarah and Angus gave me the gift of Italian cooking in the form of a subscription to Canal House Cooking for the year. I have received the first issue and it is beautiful. Now I will gift all of you this video, a peek into the dreamy world of the little kitchen on the canal. Two more perfectly photographed soft cover books will show up on my doorstep this year, bursting with thoughtful recipes for the home cook on every glossy page. Lucky gal indeed. Have you met Kinfolk Magazine yet? You’re going to love her. Anyone with an ear for the silly old bear is a gem in my book and Kinfolk embodies the Pooh-like sensibility: that eating is best when kept simple and shared with a few good friends. Forty different artists collaborated on this first issue, sharing the ways in which they entertain simply at home through beautiful, natural-looking photos, menus, recipes (e.g. dang good sandwich! ), snippets from great authors and books, and longer meditations on topics such as tea time, eating for one, breakfast with friends, etc. So, what are you waiting for? 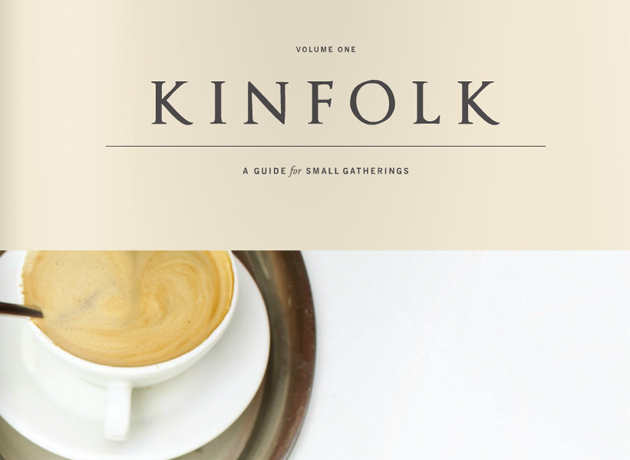 Tell us what you think of Kinfolk. I’m off to Fiji (for reals) for a week. I’ll miss you all. Growing up in Chicago, Sarah was influenced by the copies of Gourmet magazine her grandmother savored and saved around her house and you have heard us mention our love for Martha Stewart Living many times. Our A & O weekly menus are often influenced by recipes from Food and Wine and Bon Appetit but there is a lifestyle magazine we have never mentioned. 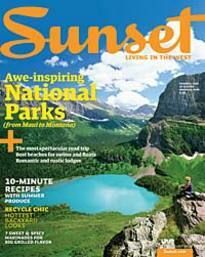 I grew up in Marin County, California and my mom subscribed to Sunset Magazine. 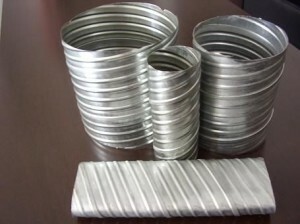 In fact our back deck was once featured in the magazine to showcase my parent’s cool DIY flower “planters” made from raw corrugated metal tubes. While the feature in Sunset held bragging rights for a few years in the late 80’s, I never ever purchased a copy of Sunset Magazine after I left my parent’s house for adulthood. Well that is about to change, this wonderful article from the New York Times inspired me. I can’t possible sum up the true California casual chic values of Sunset Magazine better than this article from yesterday. Read the article, browse around Sunset.com or subscribe to Sunset Magazine and let’s cook some dishes from the mag together! 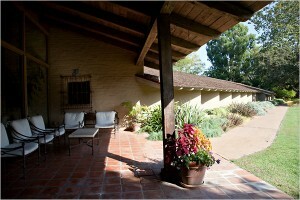 Today, if you were to go to Ms. Fairchild’s house for dinner looking for a quintessential California meal, she would serve chili-rubbed grilled chicken, a pot of long-simmered pinto beans and a large green salad shot through with avocado and orange, and seasoned with red wine vinaigrette. There would be a pitcher of from-scratch margaritas. For dessert, fresh fruit and a lemon bar or maybe a brownie. “The fresh with the indulgence — that’s very California,” she said. YUM! What a down to earth and fresh idea for a dinner party menu or the next time you host a sports game viewing.